The firm will help bring Chef Scott Crawford’s market and restaurant to downtown Raleigh. The Raleigh Architecture Company has been commission to serve as design architect for Nash Hospitality Group’s “Standard Foods,” an upscale neighborhood market and restaurant planned for the Person Street Plaza retail center in downtown Raleigh. The Nash Hospitality Group is a partnership between John Holmes of J.T. Hobby & Son real estate and celebrated Chef Scott Crawford, formerly of The Umstead Hotel in Cary. Crawford earned the hotel’s “Herons” restaurant both Forbes’ five-star and AAA five-diamond awards. Lead by partners Robby Johnston, AIA, and Craig Kerins, AIA, The Raleigh Architecture Company (RACo) is frequently commissioned for urban up-fits in existing buildings in downtown Raleigh. A few of the partners’ completed projects include Arrow Haircuts and NuvoNivo on Hargett Street, Runologie and State of Beer on Hillsborough Street, and Crank Arm Brewing Company on West Davie Street,. The restaurant side will feature a 20-seat communal table, room for 60 more, and a long bar. Ted Van Dyke of New City Design will serve as architect of record for the project. RACo will serve as design architect for the front-of-the-house space (areas open to public view) and the exterior. 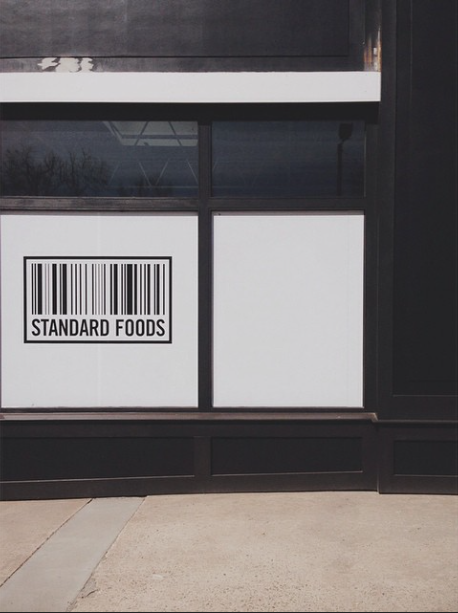 Standard Foods completion is scheduled for the summer of 2015. You are currently viewing the archives for May, 2015 at THE RACo JOURNAL.